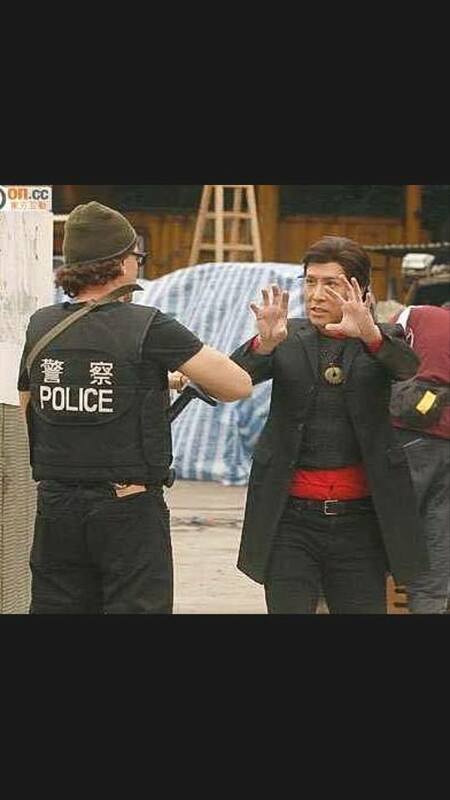 His appearance in “In the Line of Duty 4” is simply unforgettable – his palms open, his body rapidly shifting left to right, and a never-ending chorus of “Wah-Wah” bursting forth from his vocal chords, John Salvitti gives Donnie Yen a run for his money in the film’s famous alley fight. To think that just a few years earlier, the thought of working in martial arts films had never even crossed his mind. 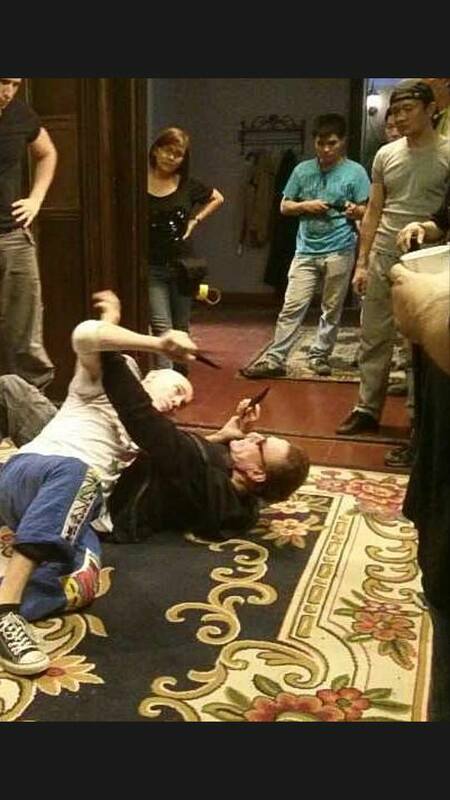 Today, John Salvitti has shifted his focus behind the camera to the realm of fight choreography, reteaming with Donnie for films like “Special ID” and “Kung Fu Killer”, and recently lending his services to action-thriller “Pound of Flesh”. In between his time on film sets, John also imparts his vast knowledge of combat to U.S. Marines, and as anyone who has spoken with him can attest, his passion for martial arts has the boundless, uncontainable energy of a 10-year old boy! Today, John sits down with us to share his background working in both Hong Kong and Hollywood, his experiences both in front of and behind the camera, and his immense love for all things martial arts. 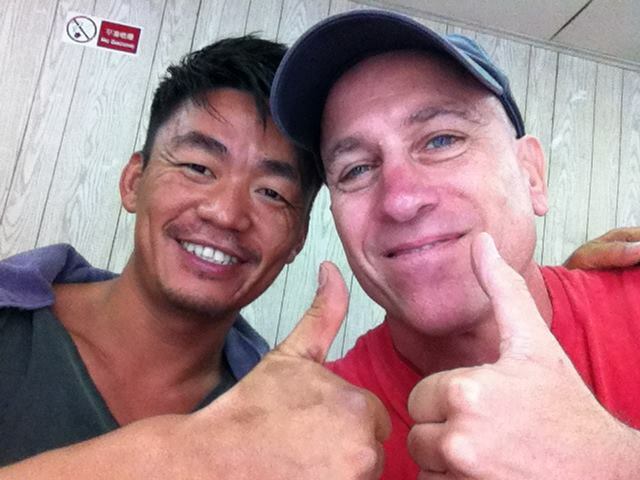 Brad – Hi John, thank you so much for being with us, how are you doing today? John – Hi Brad, I’m doing fantastic. Awesome! Have you taken a good look at the Kung Fu Kingdom online? Yeah, I love the site! I’ve actually known about the site for quite a while now, because I’m so passionate about anything in the world of martial arts. I really love everything KFK has been doing, and I’m really happy for the chance to speak with you. Thanks a lot, John, that’s great to hear! Well, let’s kick right off with some basics, like where are you from originally? I was born in Boston, USA in 1965, and I actually grew up right outside the city in Revere, Massachusetts. I’m 5’10” (1.78m) tall and weigh 12st 4lb (79kg). Forming the stunning bible-fu scene in Pound of Flesh! Great, so why not give us a little background on how you got started in the martial arts, what different arts have you trained in? I started when I was ten. I actually began with modern Pankration, (which is a modified version of ancient Greek martial arts) under George Gonis, and I later became an assistant instructor for his kids’ class. I moved onto Shotokan Karate when I started entering my competitive years under Lou Hopkins, he’s still teaching today and he’s still ripped and muscular! He’d also take us to Chinatown every weekend and that’s when I discovered Wushu and got really heavily into it. Later on I got into Brazilian Jiu-Jitsu, which I started competing in as well and still do today. Note, I don’t really like to use the word “I” so much when talking about martial arts, because I think the experience martial artists have when first starting out is the same for all of us -we’re all captivated by the mystique of the martial arts and the fantasy of becoming the most amazing fighter in the world. Oh, absolutely! So, who would you list as your heroes or inspirational figures in martial arts? Master Lou Hopkins and Donnie Yen would definitely be in that group. In fact, Master Hopkins actually introduced me to Donnie, because he has such a love and respect for Chinese culture. 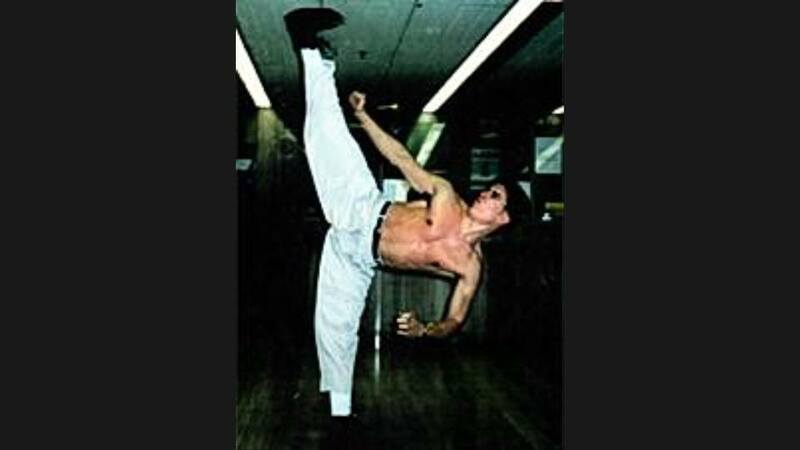 He’d seen Donnie make the cover of “Inside Kung Fu” in 1982, and he said, “We’ve gotta train with Donnie Yen someday!” I’d also have to say Donnie’s mother, Bow Sim-mark, I learned a lot from studying Tai Chi with her. I’d also have to include my good friend Ed Bavelock of Kimekai MMA, he’s trained and cornered for a lot of great UFC fighters, and he’s also the man who gave me the push to get into movies. I’m also really inspired by professional sports and elite athletes in general because there is so much that can be taken from there and used in martial arts or choreography. Wonderful to hear the back story, thanks! Moving ahead now, how did you first get started in the film industry? I honestly never intended it. I had wanted to teach and continue on the path of competing and share my love for martial arts with everyone that I could. It really just fell into my lap when Donnie said to me, “I think you could really do well in movies and I think I have a guy in Hong Kong who might like you a lot.” I actually turned down the offer to be in the first “Tiger Cage”, but then “In the Line of Duty 4” came along, and that’s when Ed Bavelock talked me into going and doing it, and then as I was there making it, I kind of realized, “Maybe I have something I can offer”. Getting kicked by Donnie is like getting hit by a train, but it was probably my commitment that made it hurt more with how much I threw myself into his kicks to make them look really powerful! Well, your fight scene in the alley with Donnie is definitely one of the more memorable parts of the film, and a little later on you’d appear with Donnie again in “Tiger Cage 2”. Can you talk a little about the experience of making it? “Tiger Cage 2” was for me, one of the movies that has really lived on the most, because it was such a good learning experience for me as far as fight choreography goes. You had the Yuen brothers and so many other people on the set, and there wasn’t much English being spoken so I really had to be hyper-sensitive about what I was doing and how it would contribute to the scene. It really taught me a lot about being part of a team, because that’s what you’re doing when you’re making a movie, and I would say that’s something a lot of actors and fight choreographers coming up today should learn as they’re getting started. Definitely a great mindset to have. Well, moving forward a bit, you, Donnie and Michael Woods, (who appeared in those early movies with you) would be a part of the fight choreography team for “Blade II” with Wesley Snipes. What can you tell us about the experience of making the film and working with Wesley? Well, I was assistant choreographer under Donnie for “Blade II”. He and Kenji Tanigaki did the bulk of the choreography. I was one of five choreographers, and definitely want to emphasize the contributions that everyone made while I was assistant. One of my major contributions was to help train Luke Goss, who played the villain, [Nomak] and it was my suggestion that he would fight with his hands down -Donnie and Wesley both liked the idea. I even got to fight Wesley Snipes in the movie! Wesley really appreciates the Hong Kong guys, and he asked us to be in the scene. I was one of the vampires in the alley fight, and Michael Woods is in that fight as well. I’m actually the vampire at the very end of the fight that gets pinned to the wall and disintegrates. Wesley’s definitely at an elite level with his ability in martial arts and his love for it, he’s a total team guy, and we wouldn’t have been there without that attitude. I didn’t know that you were the last vampire in that scene. It was definitely a great start to the film, and I think “Blade II” is the best of the series! Speaking of your collaborations with Donnie, you’ve also worked with him on a few of his MMA-themed movies, namely “Flash Point” and “Special ID“. Can you talk a bit about how you guys brought the MMA influence to Hong Kong movies? Well, I always believed it had a place on film. We’d started to talk about MMA when we were making “Ballistic Kiss”, and later on I guest-choreographed the end fight for “Twins Effect II”, where I doubled for the villain. It was there that I injected some grappling and MMA into the fight; I would say that was one of the first little sparks of us working grappling moves into fight choreography. Really, it was with a guy of Donnie’s prominence and pull that MMA was introduced into Hong Kong movies. “Special ID” was where I made my biggest contribution, because I was really implored to “empty the tank”, you might say. Donnie really wanted to bring a sense of reality to the action -like with the way their faces look at the end- and I think we accomplished that. The origination of innovation, nice. You also did a little work with Donnie on “Kung Fu Killer”. What can you tell us about that? Yes, for “Kung Fu Killer”, I worked on the prison and the end fight. The film had three different fight teams, and everyone was spread out through different parts of it. I was actually credited as a “mixed martial arts instructor”, but I wouldn’t really put a label to the style of the action, because Donnie’s like a chameleon, he’s very adaptable with his skill set. The end fight was a lot of fun, because Donnie and Wang Baoqiang, (who played the villain) were fighting a mix of kung fu styles and it just opened up for a lot of fun and experimentation. I’m really happy to take the experience of working in Hong Kong at that level and slowly adapt it from fight choreographer to action director, which is what I’d like to do going forward. Well, I think “Kung Fu Killer” turned out really well. Moving ahead now, your next big project was, of course, “Pound of Flesh”, where you got to work with Jean-Claude Van Damme and the late Darren Shahlavi. How did you become involved with the film and what was the experience of working with Jean-Claude, Darren and director Ernie Barbarash like? Jean-Claude was a guy I tried to emulate a lot when I was young with stretching and muscle building, so it was very nostalgic making a movie with him. I really tailored the choreography towards his character as well as some new things we haven’t seen Jean-Claude do before. With fight choreography, a lot of it comes down to; the actor, his strengths, weaknesses, the scene requirements and the number of combatants involved. As a choreographer you start making quick decisions about what’s happening and that’s what we did with “Pound of Flesh” and Jean-Claude. For example, he was missing a kidney, so we couldn’t have him jumping and flying around a whole lot, so we based a lot of the choreography around those considerations. Ernie was really cool too, because he gave me a lot of leeway with the camera, and also let me action direct a bit. He’s a director that given the right kind of budget and time I feel he could really adapt to the Hong Kong style of action movies. 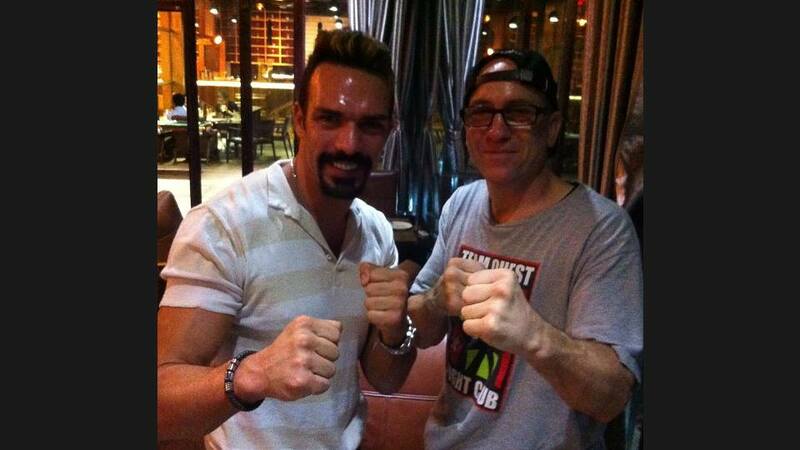 Darren Shahlavi loved Donnie Yen, I can tell you that! He was such a consummate professional, we’d meet for a cup of coffee often after filming and just talk about screen fighting for hours. He was always thinking what was best for the film, what was best for the team, I absolutely loved him, and feel blessed that I was able to work with and for him. It certainly broke all of our hearts when we heard about his untimely death – you were definitely very lucky to have had the opportunity to make the film with him. With that and everything else you’ve made, what would you say are some of your personal favourite fight scenes you’ve done? Wow! It’s a bit of a toss-up between Van-Damme’s split scene in “Pound of Flesh” and the end fight in “Special ID”. I also really love the kitchen fight in “Special ID”. The split scene is certainly memorable! Okay, could you give us your brief views on people in martial arts movies like Bruce Lee, Jackie Chan, Mark Dacascos, Scott Adkins, Tony Jaa, Yuen Biao, and Sammo Hung etc? Nice! That’s really profound. Now which actors/martial artists would you most want to work with that you haven’t yet? There’s definitely a few. Scott Adkins and Jason Statham would be on there, because they come across as guys that really want to bring it. I’d really want to work with Ronda Rousey, too. I feel that a lot of Western choreographers are still borrowing what they’ve seen from Hong Kong, and I think, “Let’s not borrow it, let’s BRING it!” and I think all of the above would really bring it. On a similar note, I recently got to meet Keanu Reeves, and he’s another guy that really wants to bring it. We shared a lot of stories about Yuen Woo-ping and I got the chance to thank him and the Wachowskis for “The Matrix” and the enormous impact that it had on the industry. Keanu’s a very down to earth guy and he was really humbled and honored to hear that. Top contenders there. Okay, please roll off John Salvitti’s definitive top 10 kung fu movies! Definitely “Enter the Dragon“! I love Donnie’s modern MMA series of movies, “SPL“, “Flash Point“, “Special ID“, “Ip Man” (1 and 2) and the American MMA movie, “Warrior“. I also really love some of Akira Kurosawa’s movies like “Yojimbo”, Jackie Chan’s “Snake in the Eagle’s Shadow“, and more recently, I really enjoyed “Once Upon A Time in Shanghai”. Epic choices indeed. Moving on, in addition to your work in fight choreography, you also train U.S. Marines. Could you give a little background on that and what Marine martial arts training entails? I’ve been doing it off and on for a while now. 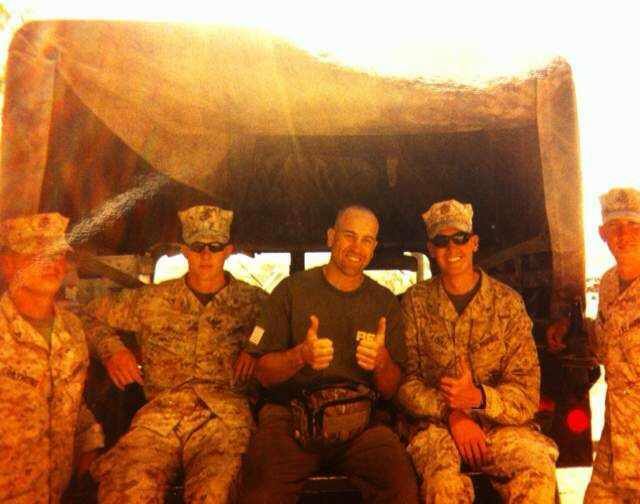 I first got into it through some friends of mine who elected me into the Martial Arts Hall of Fame and mentioned they were involved with the Marine Corps and asked me if I wanted to come down and assist. They knew that I was involved in the film industry so they had me do a lot of work with filming as well. There was also a great Colonel who was mainly responsible for bringing a lot of civilian martial artists in as trainers, and it’s actually pretty cool that they respect that civilian martial artists can give the Marines a few more tools that they can use. I made a lot of friends through it and we still continue to meet up and train a lot on the beach and places like that and of course, you don’t really do that for financial gain but to give back to the people who keep our country safe. A lot of the training for Marines involves Judo and Jiu-Jitsu skills and they’ve also borrowed a lot from Krav Maga, Kung Fu San Soo, and anything else that works for them. There are so many people in the Marines responsible for a lot more than me, the way I look at it is I’m not a Marine, but I have so much respect for them and just try to give back whenever I get the chance. Inspiring stuff. On the topic of training, what’s a typical workout for you? Is it mostly martial arts, do you add weights much and what exercises and training techniques bring out the best in you? I mainly do calisthenics; pull-ups, push-ups, and core work. I really like to keep my core strong, because you need that for MMA. I probably run about ten miles in a week, and to this day I love to hit the mitts with boxing and kickboxing, and I’m on the mats about three times a week doing Jiu-Jitsu. I do feel it more these days (I’m putting on ice a lot more) but I do it to keep that sense of reality and intent, because that plays into choreography, and I think every choreographer should strive for that. Kicking and flexibility – two of John’s many strengths! Keeping it real. Okay, so, what would you say is the most daring stunt you’ve ever done, the worst injury you’ve ever experienced, and how did you work through it? The scene where I was on top of the ambulance in “In the Line of Duty IV” was pretty wild. I did a few takes of that but then they doubled me because I still had fighting to do and they didn’t want me to get injured. As far as my worst injury, I was doing a TV show with Donnie and Michael Woods in Berlin called “Der Puma”, and I cut my thumb in half! I was doing choreography and stunt work fighting in this kitchen. We had spilled ketchup all over the floor, and I grabbed onto a shelf to keep myself up so I wouldn’t ruin the shot, and we managed to do it, but the shelf cut my thumb wide open – it was really just hanging off. I had to get surgery done and to this day, my thumb just partially works, I can’t open a car door with it, that’s for sure! Donnie and Mike came to visit me in the hospital, and the most crushing thing for me was that the injury ultimately kept me from returning to the series. Now I’m really hyper-sensitive about safety with stunt work and choreography. For example, in the split scene in “Pound of Flesh”, I had opened the car door at one point and realized that the edge of the door was like a razor, so we filed it down, and sure enough, on the second take, my stunt fighter hit his cheek square on it, which would’ve opened him right up if it wasn’t filed down. Yikes! Safety definitely first. So, what do you do to recover from strenuous physical activity? Ice bath, for sure. Get familiar with ice and make it your best friend, and heat, too. Ice and heat have a tremendous amount of healing power, that’s why you see basketball players and football players using them when they’re on the bench. Fantastic advice! So, what kind of diet do you follow, do you take any supplements? I try to eat as healthily as I can avoiding things that can swell the body up. I kind of follow what’s called the Gracie Diet, which of course is named after the Gracie family. I used to take supplements, but I think I took them in the wrong way so I don’t anymore. I love going to the ocean and swimming a lot too, even in the winter time – the colder, the better! What about equipment? Is there any training equipment you find really useful or recommend to people? Not so much equipment, but I really believe in training partners and bag work. Ed Bavelock is great for that, he’ll hold the mitts and hit with you at three in the morning. You also really have to learn to go solo and be able to “train in a phone booth”, I feel. You can’t let space inhibit you from reaching your goals as an athlete, stunt guy, or martial artist. The great outdoors can be the best dojo you’ll ever find. Great rationale to live by! Well, moving now onto fun/leisure, what’s one geeky thing that people don’t know about you? I’m a really goofy guy overall. I get on my family’s nerves with it sometimes (laughs) but I think most people don’t realize that I’m just a goofy guy! Haha, nice! So, if you could be a superhero or possess a superpower, which would it be? I would like to be an MMA Aquaman! When I was kid, I thought I was Aquaman, because I’d be in the pool in our backyard all the time. I’m really excited for the “Aquaman” movie that’s coming up. They’re going to have a real opportunity to do martial arts underwater, in caves, in vessels, etc. My mind’s already working on the choreography! Far out! Okay, so we’ve got Aquaman making his debut next year in “Batman v Superman” and we’ve got the “Furious 7” director [James Wan] doing the “Aquaman” solo movie. So, if Zack Snyder, James Wan and Warner Brothers happen to be reading this, John’s already working out the fight choreography in his head, so I and KFK hereby nominate him as fight choreographer on the “Aquaman” movie! Moving ahead, what are some hobbies of yours? Snorkeling in the ocean, riding my bike, and playing chess with my daughter – that’s a lot of fun! I like a lot of music in different languages, and I love rap/hip-hop, too. I used to really be interested in independent films a lot, and I still look for opportunities to check out stuff that’s kind of low on the totem pole and doesn’t get as much exposure. You can pick up on a lot of creativity from movies like that. Great! So, what is something in life that you really like and something you dislike? Dislike: To me, to forget my roots and people that have been big influences on me in life would be horrible. That’s definitely something valuable to live by. So, what would you say is your proudest accomplishment so far? I would have to say just being a blip on the radar, and just spreading the love of martial arts to the world. That’s both humble and cool. So, what are you most keen to accomplish in the next five years? The main thing would be moving into action directing, continuing to spread the love of martial arts, and just being the best possible husband, father and brother I can be. Ideal! 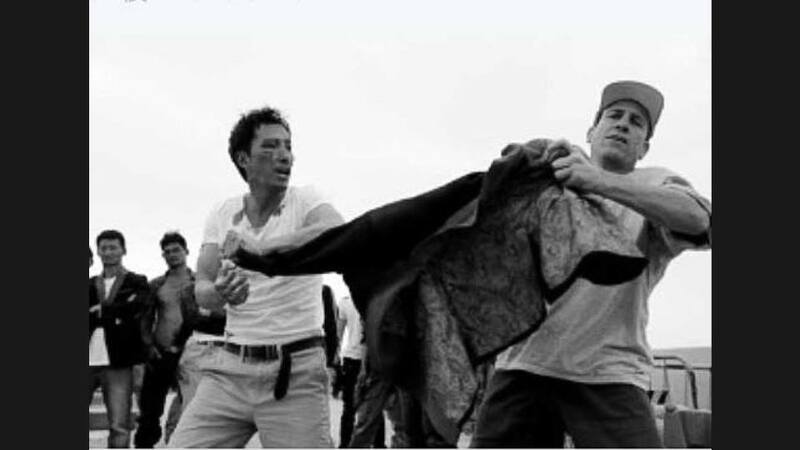 So, what advice would you give to martial artists who aspire to work in the film industry? Definitely train, train, train! and learn to be a champion student and collaborator of the game, I’m still practicing these things today myself. Excellent advice. To try and encapsulate all this if we may, what warrior wisdom quotes have helped mold you and gotten you to where you are today? I really love a quote by John Wooden who is one of the best collegiate basketball coaches ever, I actually have this on my wall. Incisive words that must surely stir every thinking person to their own greatness! Well, as we prepare to wind down here, what special message would you like to leave for Kung Fu Kingdom readers and your fans around the world? Unity and paying homage to our masters and mentors, for sure. I think Kung Fu Kingdom really promotes unity and brotherhood in martial arts, and unlike a lot of other things, we can keep going in the martial arts until we’re 90 years old, as the masters have shown. I’m really thankful to have the opportunity here to communicate thoughts like this, it means a lot to me. Respect that John, it has been real enlightening sharing all this with you. As we (sadly) wrap up, where’s the best place for people to go find out more about you? Thank you ever so much John. It’s been such a pleasure and extremely gratifying to spend time with you; from all of us here, and on behalf of all our readers and fans, we wish you the very best on all your future action movie endeavors and continued success on your martial warrior journey. Keep in touch. Thank you very much for featuring me on Kung Fu Kingdom – it’s such a great and important service that KFK performs for the world of martial arts, and I’m absolutely honored to join the ranks of the martial artists featured on the site.